Regular procrastinators put themselves at risk for failure. 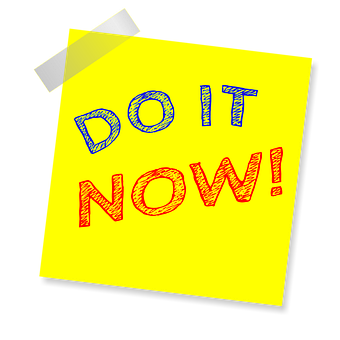 Psychology Todays states that procrastination “begets a downward spiral of negative emotions that deter future effort.” Simply put, procrastination is harmful; it’s an unhealthy habit that, if done regularly, may yield devastating results. Let’s discuss four simple ways LakeHawks can overcome procrastination. All LSSC students know how overwhelming and time-consuming classes are. Many of us work and have families to care for, therefore making it hard to manage time properly for school. By setting small goals, LakeHawks can overcome the most challenging aspect of a project, which is starting it. John Brusca, a current LSSC student, mentioned trying the 5-Minute Method. “The 5-minute Method is merely putting only five minutes into the work. We can all spare five minutes and just starting the project will alleviate most of the fears about doing it.” John's quote is a perfect example of a simple goal. It may seem like a small amount, but it’s enough time to get the ball rolling. A Schedule correlates with the 5-Minute Method. It’s best to set a specific time each day for the method, and gradually increase how long these study sessions last. Some LSSC students have told me that they treat scheduled study sessions like work. If one skips a shift, there are usually consequences. Get into that state of mind and take away something fun anytime a study session is missed. Simple enough, right? Designate a specific area that’s meant only for studying. If there’s anything that might be a distraction, keep it away. Especially kids. By applying these tips, LakeHawks can easily beat procrastination and succeed! Questions? Feel free to reach out to theangleronline@gmail.com.